"Become Safer & Healthier before you are sorry"
The key role players in all sectors who deal with workplace health, safety issues at work & are interested to upgrade in the field of OSH, should not miss out the 5th edition of South India's largest occupational safety and health show which will be held on 28th - 29th June, 2018 at HITEX Exhibition Centre, Hyderabad. The city of Hyderabad is widely known as "India's pharmaceutical capital" and "Genome Valley of India". The Telangana government is gearing up to move further with an aim to boost up employment opportunities in the region by planning to establish industrial corridor. Currently 20 percent of India's total pharmacy export is accounted in Hyderabad alone. This blooming city is also a hub for many key industries such as IT, manufacturing, textile, mines , minerals, aerospace, automotive, general engineering, Steel, R&D of biotech, solar equipment, and electronic hardware. All this make the city of Hyderabad the best eco-system for occupational safety & health as a sector. The two days OSH South India 2018 conference will be held at this renowned city .It will be conducted with an aim to discuss occupational safety and health as a priority for companies, and understand the business benefits of investing in the health and safety .This year special initiative will be taken to spread awareness about the importance of occupational safety and health for working women, workplace ergonomics and employee health & efficiency. 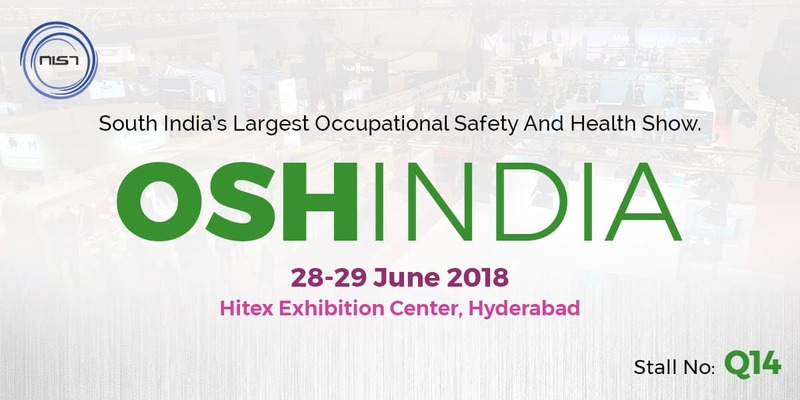 OSH South India is one stop destination where you can obtain the best health and safety product and services as 100+ exhibitors are expected to attend this great event. Apart from this you can meet up with new exhibitors who will exhibit new products that can pave way for you to explore fresh & better opportunities. Visitors also get the chance to have face-to-face networking opportunity at this event & get inspired to gain new ideas and make better decisions. Exclusive HSE Recruitment services in India & overseas. Expecting your presence on this opportunity filled event & promote the value of health & safety together. To know about how NIST have took-part in OSH India Event 2018, Read here!